All in nature is cyclical as are we. 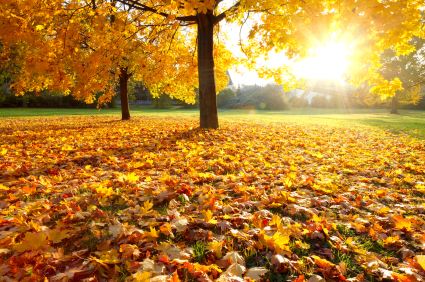 Just as the moon dances from darkness to light, and the trees let their leafs fall to prepare for the winter ahead, so our energy flows up and down on the currents of life. My energy flow is telling me to rest and take things easy. Time to regroup, rebalance and replenish. As such I will not be writing a new meditation for this full moon, but we will revisit a powerful one from the past. After all, this full moon is the Hunters moon. Its theme is transformation. This certainly is a time of great transformation. And though this initial meditation focuses on transforming things in the here and now, many are experiencing past life issues. These often refer to lives where we were dealing with spiritual power and the abuse of it. If such is the case for you, it will be helpful to ask Archangel Raziel to come in and help clear karmic patterns. Before going into meditation, take 15 minutes to make a list of all the things that no longer serve you. You may want to change certain ways of thinking and behaving, relationship or work issues. Write these down and bring them to your meditation. Find a peaceful place where you can meditate without being disturbed. If possible you may want to meditate in the fresh air out in nature, as to be closer to the full moon. An undisturbed place inside can be equally beneficial. An altar can help you find the right focus for your meditation. You could put some symbols on the alter this month to represent transformation and the violet flame. You could for instance put amethyst on it, violet or purple candles and flowers or a picture of St. Germain and Archangel Zadkiel. Whichever feels right to you. I am now creating ceramic Angel Altars. They will feature on this blog in a month or so and will also be in the next angel newsletter. You are welcome to connect to me and all the other Light workers who are meditation on the full moon at 7 p.m. UK time. Though far away, we can all connect through the field of unity. You may find this strongly facilitates your meditation. If you cannot make it at 7 p.m. you may sit down another time with the intention of connecting. You may start by clearing and dedicating the space. You can do this in any way feels right to you. I usually call in the ascension column and pillar of light, the Platinum Net and the Ascension Flame. Always make sure your are protected. you can ask Archangel Michael to place a Golden Dome of protection around you or put his deep, blue cloak of protection around you. I always use the Archangel Michael Spray from Crystal Angel Essences (which can be ordered by emailing me). Connect to the earth and ground yourself. Then close your eyes. Connect to all the other Light Workers and imagine us all forming lovely network of light all around Mother Earth. Now see before you a path of Light. On this path of Light are ten portals. As you walk your path of Light into higher Dimensions you pass underneath these ten portals. Each one has two angels guarding it and they are here to help you on your path. Feel your vibration heightening as you walk through each portal. When you have passed all of them you standing front of a temple of Light in the Higher Dimensions. You step into this violet temple. Before you a magnificent violet fire is burning brightly. Silver and golden flames dance through the violet fire. 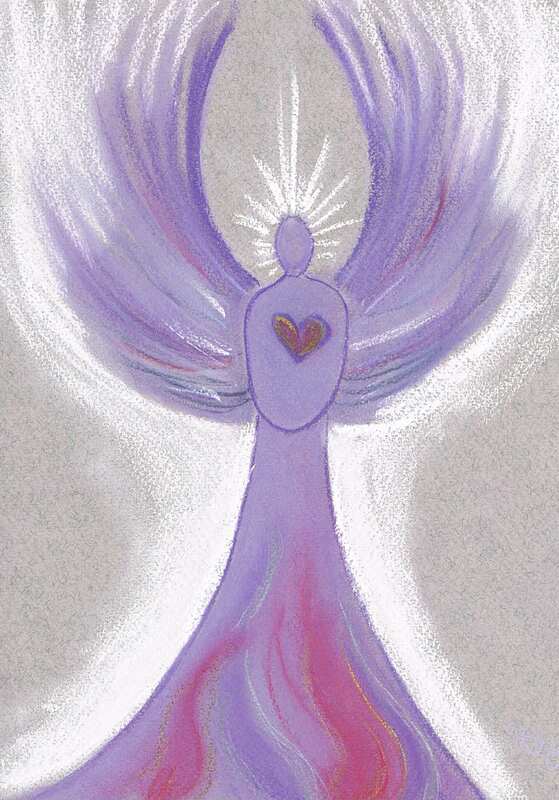 Archangel Zadkiel stands behind the fire and asks you to put anything that is holding you back and that no longer serves you into the fire. The fire will not only transform it, but will transmute it, bringing something better in its place. When you are done with this personal process you may send the violet light to any area in the world that could use transformation. Send it with your love and compassion. When you are ready, bring your consciousness back to the room where you started. Move your hands and feet, stretch and feel your body making contact with the floor beneath you. Then blow out the candles, and let go of this meditation. You can use the Archangel Zadkiel Spray of Crystal Angel Essences to help you with your process of transformation. 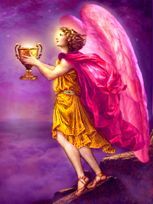 This entry was posted in Angel meditation, Moon Meditation and tagged angel light heart, archangel raziel, archangel zadkiel, full moon, karma, meditation, november 6, transformation on November 6, 2014 by Angel Light Heart.